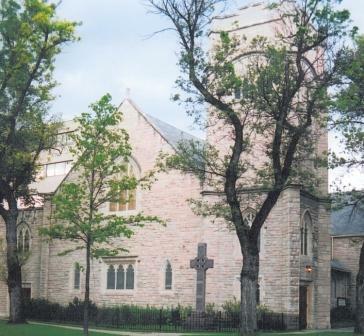 Our congregation, formed in 1925, built and occupied the current building (commonly thought of as The Presbyterian Cathedral) in 1927. The building was completed within 8 months of turning the sod. The people then, as today, were faithful and determined. Leading the church in the early years was Rev. Norman MacEachern followed by Rev. Gordon McLean. Rev. MacEachern had the dubious task of melding seven congregations into one. This was a direct result of the formation of the United Church in Canada from the Congregationalist, Methodist and two-thirds of the Presbyterian congregations. After six successful years, Rev. McLean took the helm and faithfully invested in a significant congregation for over 30 years. As men for their time, Rev. MacEachern and Dr. McLean are fondly remembered. Rev. Dr. Bruce Miles, Rev. Dr. Michael Farris, and Reverends Drew and Diane Strickland served until the late 1990's. In 2004, Rev. Jack Duckworth became pastor and served faithfully until 2010. Today, Reverend Kevin MacDonald is the current minister as of August 1st, 2012.